Kinver Services is a place on the waterways minor waterways place place on the waterways major waterways place village town city on the Staffordshire and Worcestershire Canal (Main Line: Stourport to Stourton) between Stourton Junction (Junction of the Staffordshire and Worcestershire Canal (Main Line) and the Stourbridge Canal.) (1 mile and 5 furlongs and 2 locks to the northeast) and Kidderminster (6 miles and 2¼ furlongs and 5 locks to the southwest). The nearest place in the direction of Stourton Junction is Hyde Bridge No 30; 3¼ furlongs away. The nearest place in the direction of Kidderminster is Kinver Lock No 11; 1 furlong away. Facilities: chemical toilet disposal, chemical toilet disposal suitable for DIY pump-out, boater-operated pump-out, rubbish disposal, toilets and water point. The C&RT pump-out is in the room with the elsan. C&RT cards can be purchased in Kinver. There is also a second water point at the wharf. Enville Road, Kinvere, DY7 6AA — 529 yards to the northwest. Dunsley Road, Stourbridge, DY7 6LJ — 194 yards to the southeast. The Plough & Harrow, 82 High Street, Stourbridge, DY7 6 — 323 yards to the west. Church Hill Kinver, Kinvere, DY7 6HZ — 517 yards to the south. Dunsley Road Kinver, Stourbridge, DY7 6LU — 937 yards to the northeast. 119 High Street, Kinvere, DY76HL — 407 yards to the southwest. 111 High Street, Kinver,, Kinvere, DY7 6HL — 388 yards to the southwest. A449, Kinvere, DY7 6NY — 1330 yards to the southeast. 47 High Street, Stourbridge, DY7 6HE — 357 yards to the southwest. 41 High Street, KINVER,, Kinver, DY7 6HF — 354 yards to the southwest. 37 high street, Stourbridge, DY7 6HF — 355 yards to the southwest. 39a Dunsley Road, Kinver, Stourbridge, DY7 6LU — 937 yards to the northeast. Stourbridge — 372 yards to the southwest. 83 High Street, Kinvere, DY7 6HD — 327 yards to the west. Falcon farm, Stourbridge, DY7 5HE — 1398 yards to the northwest. Solcum Stud, Solcum Lane, Blakeshall, Kinvere, DY11 5XN — 1017 yards to the southwest. 50 High Street, Kinvere, DY7 6 — 319 yards to the southwest. Kinvere — 813 yards to the northwest. 46 White Hill, Kinvere — 1285 yards to the northwest. 52 High Street, Kinver, Stourbridge, DY76HE — 320 yards to the southwest. 14 Compton Road, Kinvere, DY7 6DN — 1001 yards to the west. Enville Road, Stourbridge, DY7 6AD — 806 yards to the northwest. 1 Cheveare Mews, Kinvere, DY7 6HB — 350 yards to the southwest. Kinvere — 884 yards to the northwest. Holy Austin Rock House, Compton Rd, Stourbridge, DY7 6DL — 1182 yards to the west. Stourbridge — 1217 yards to the west. Whittington, Kinvere, DY7 6NY — 1189 yards to the southeast. Stourbridge — 1470 yards to the northwest. The Bungalow, Kinvere, DY7 6NS — 1404 yards to the southeast. 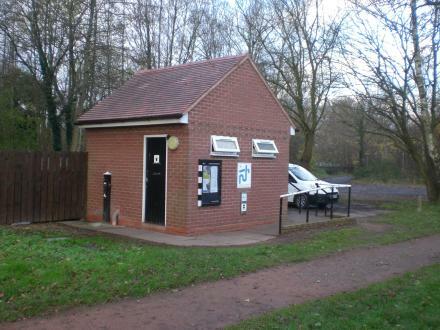 Kinver, Stourbridge — 813 yards to the northwest. 1 Chenevare Mews, Kinvere, DY7 6HB — 351 yards to the southwest. 24-25 High St, Stourbridge, DY7 6 — 366 yards to the southwest. 43 Edge View Walk, Stourbridge, DY7 6AY — 1471 yards to the northwest. 6 Chenevare Mews, Stourbridge, DY7 6HB — 350 yards to the southwest. 2 Holly Close, Stourbridge, DY7 6BP — 1263 yards to the northwest. 27 High Street, Kinvere, DY7 6HF — 364 yards to the southwest. 39 Dunsley Road, Kinver, Stourbridge, DY76 — 1348 yards to the northeast. 6 Chenevare Mews, Kinvere, DY7 6HB — 350 yards to the southwest. Kinver, Staffordshire, Stourbridge — 312 yards to the southeast. 1 Stone Lane, Kinvere, DY76 — 342 yards to the west. 5 Chenevare Mews, Kinver, Stourbridge, DY7 6HB — 350 yards to the southwest. 114a High Street, Kinvere, DY7 6HL — 388 yards to the southwest. Legion Drive, Kinvere — 270 yards to the northwest. 1452 yards to the southwest.